The Third Baseman Fantasy Rankings archive is a prime example of believing in the hype, or not believing in the hype. First, the hype surrounding Anthony Rendon after his unbelievable 2014 campaign was crazy strong and fantasy nerds were going crazy over the 100+ runs and 15-20 stolen bases they were expecting out of him. Then the toxic dugout in Washington DC and the injuries hit Rendon. His season was so bad that the injury bug may have been more of a blessing for fantasy owners as it forced them to pull the plug on Rendon and scour the waiver wires for a better third baseman. Josh Donaldson, on the other hand, lived up to the hype surrounding him in Toronto, and then some. Josh Donaldson won the AL MVP and he was an absolute fantasy stud from start to finish, just like we predicted. We told you he would significantly improve on his 2014 campaign and he did. He crushed it. Check out the rest of of fantasy archive from last season, then compare these stats to this year's rankings to help you make a solid decision on draft day. Josh Donaldson's move to Toronto's lineup and hitter-friendly ballpark make him the irresistible #1 fantasy third baseman in 2015. To tell you the truth, we were going to put Anthony Rendon at the top of our list, but then we took a few more fantasy draft factors into consideration. One great season isn't always an indication of great things to come, at least not right away. Third Basemen are typically drafted as a source for power. 21 HR from Rendon isn't bad, and we like his 17 stolen bases, but you can get stolen bases elsewhere. We want guaranteed power. Josh Donaldson's move from Oakland to Toronto is a huge upgrade, both in terms of the ballpark and in terms of the lineup around him. 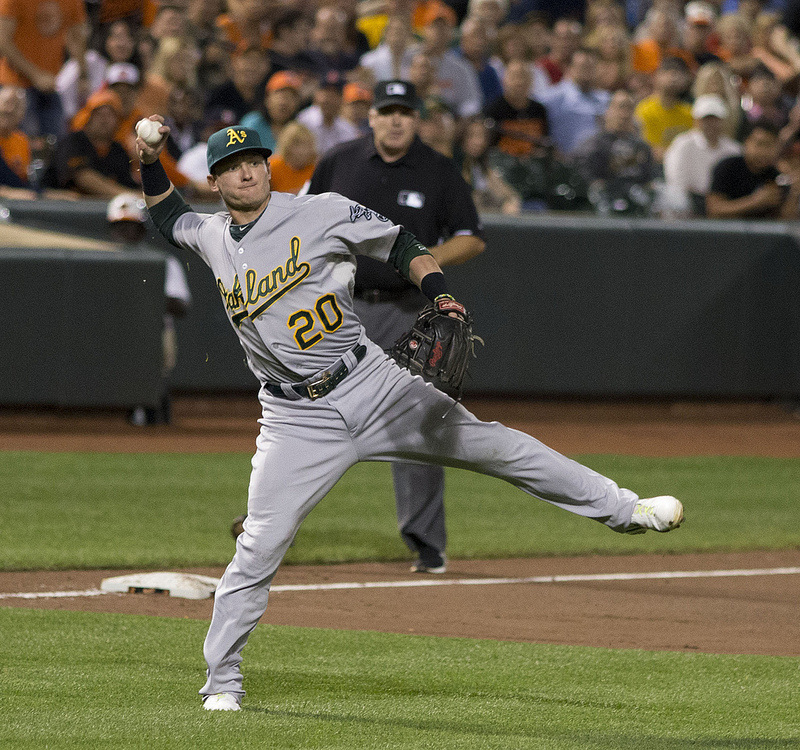 Josh Donaldson leads our fantasy third baseman rankings for 2015 because he hits for power, and he drives in runs. In Toronto (and barring injuries), he can easily add 10 more home runs due to the ballpark alone, and/or he can add 10 home runs with the protection around him in the lineup. Anthony Rendon, keep in mind, will not disappoint fantasy owners in 2015. His runs may go down to the 90s, and he may even increase his power numbers to about 25. Still, you can expect 20-25 stolen bases no matter what his power numbers look like, but we're still expecting 85 runs, 20 home runs, 80 RBI and 25 stolen bases. His projected batting average is a bit of a toss-up: his 58 walks and 104 strikeouts in 2014 lead us to wonder as to whether pitchers will learn the holes in his swing first or if he'll learn to be more patient at the plate in just his second year. Nonetheless, even if he falters a bit in 2015, his batting average will still be .265 at worst. Draft him and don't worry. You can even draft him ahead of Donaldson if you'd like. Of course, if you can't pull the trigger on Josh Donaldson or Anthony Rendon, Adrian Beltre is about as consistent as they come at third base. Once again, Beltre had a stellar season, even with an injury-plagued, below-average team around him. Beltre hit .324 with 19 HR, 79 runs and 77 RBI with no protection around him and a slumping, banged-up group of players ahead of him in the lineup. If Prince Fielder comes back in 2015 to play 150 games, 25 HR and a .270 average, you can bet Beltre will add a few home runs and about 10 runs and/or RBI to his totals. Adrian Beltre will be 36 this season, so it's one of your last chances to have him on your fantasy team. Also keep in mind that when we say he's consistent, that doesn't just mean his annual, yearly stats. Beltre is one of those guys who always finds a way to fill up a box score, no matter what. Whether it's a sac fly RBI, a run with no hits, or a 3-for-4 game, he seemingly contributes every day. 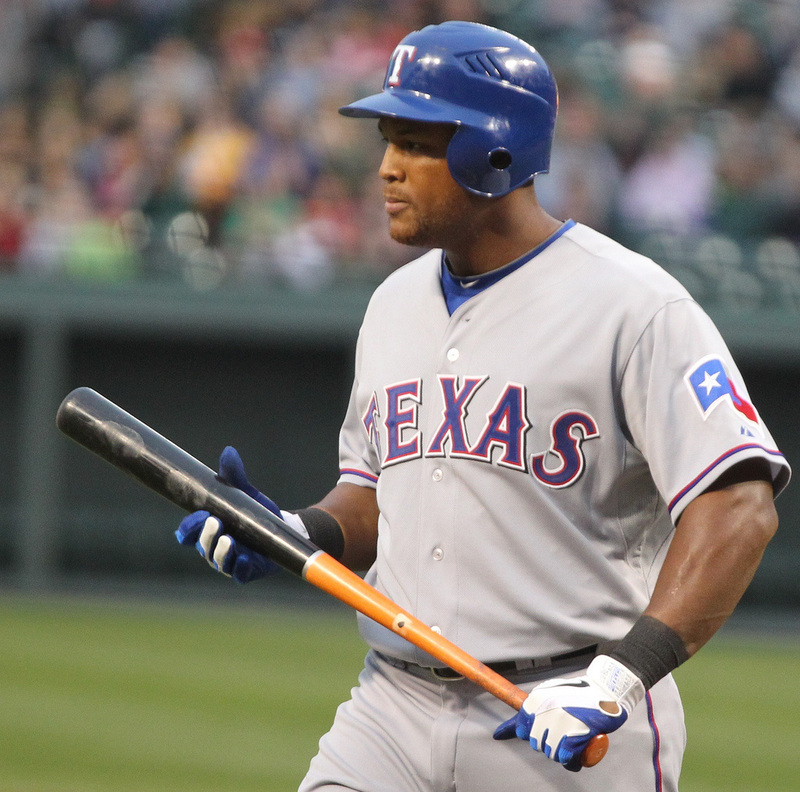 Adrian Beltre turns 36 in 2015, and the Rangers' lineup should be a bit healthier this season. We expect at least one more, solid season. We also had trouble ranking Nolan Arenado and Kyle Seager, but we put Arenado ahead. Seager is consistent, and he's hitting in the middle of a menacing lineup in Seattle. Arenado is hitting in an equally-potent lineup, but a much better hitters' park. Also, players tend to get more plate appearances in Colorado due to the high-scoring affairs, so Arenado's stats may benefit a bit more than Seager's. 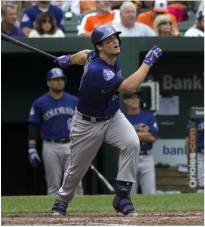 Nolan Arenado is poised for a breakout year at the age of 24. 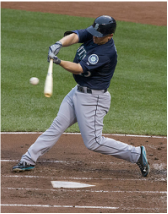 Kyle Seager's ballpark is tough, but the lineup around him is stacked. Is Todd Frazier for real? You'd better believe it. Todd Frazier may have shown up as a rookie (officially) a little late in the game in 2013 as a 26-year-old, but last season showed that he's settled in as the next big thing in Cincinnati. 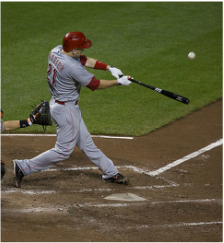 Frazier hit 29 HR with 88 runs, 80 RBI and a .273 batting average. If the Reds' lineup isn't such an injured, slumping mess this season, you can count on him to crack 25-35 HR, 90 runs and 90 RBI, easy. Also, keep in mind that he only hit 22 doubles and one triple last season. As he matures, he'll hit the ball harder into the gaps more - that is, unless they leave the yard more. Either way, you win. Oh yeah... Todd Frazier led all third basemen with 20 stolen bases. If his batting average and team support were better, he'd be in our #1 or #2 spot among all fantasy third basemen. Believe it or not, Nolan Arenado didn't get enough airtime last season to solidify him as a top pick, despite our rankings. That said, he won't exactly be your normal, late-round, $1 sleeper in your draft, but he will go a tad later than he should, unless there's a Rockies fan in your league.Instead of being a top 5 round pick, you may be able to draft Arenado around the 6th-8th rounds in a standard draft, or you might get him for $4-$8 in an auction. So while he's not exactly a sleeper, he'll go later than he should considering his upside. Lonnie Chisenhall tore the league a new you-know-what in the first half of 2014. Before the All-Star break, Chisenhall hit .332 with 9 HR, 41 RBI, 39 Runs and 20 doubles. Pace those stats out for a 600-at-bat season and it comes out to 21 HR, 94 RBI, 89 Runs and 46 doubles. 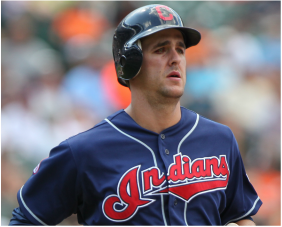 Chisenhall is 26 years old and is, well, primed to hit his prime in 2015. Also, the Indians have 5 other bats in the lineup who could each hit 20 home runs Look for Chisenhall to bring in 20 HR, 80 RBI, 75 Runs and a couple of hot streaks that can carry your team for a week at a time... and don't expect such a huge flop in the second half this season. Lonnie Chisenhall was unbelievable before the All-Star break in 2014 (and terrible after). We think he'll find a good balance in 2015 as a solid sleeper pick. Buy Baseball Gear On Clearance. Save up to $125 at Baseball Rampage. Order online with free shipping over $99. Kris Bryant, in all honesty, may not start the season in the big leagues, but that's only because the Cubs are stubborn. But looking at his stats in AA and AAA combined last season, there's no way the Cubs will be able to justify keeping him in the minors past the end of May at the longest. Right now, Arismendy Alcantara is supposed to be the starting third baseman for the Cubs on opening day, but just give Cubs fans a couple months of his act and they'll boo him off the field and demand to see Kris Bryant.In actuality, they're both potential 200-strikeout guys, but Bryant's production (strikeouts-be-damned) are more like Mike Trout's than Ancantara's. Draft Bryant late or for $1 or $2 (much more in keeper leagues, though) and hold onto him until June. The payoff could be huge. Trevor Ploufe was supposed to be the next big thing in Minnesota at third base - and he kinda was in 2012, but then he had a sub-par, forgettable fantasy season in 2013, and 2014 didn't seem much better... or did it? Trevor Plouffe's overall fantasy stats didn't improve much, hitting just 14 HR in both 2013 and 2014, and hitting just .254 and .258, respectively. Last season, however, saw a huge jump in RBI, from 52 in '13 to 80 last season. Some of that had to do with Brian Dozier being all over the base paths, but it also had to do with some of Plouffe's statistical indicators that don't show up in the fantasy 5x5 stats. For one thing, Plouffe showed a significant improvement in patience at the plate, walking 53 times (instead of 34 in 2013). He also struck out 3 fewer times in 2014 despite getting 43 more at bats. Beyond even those indicators, Plouffe hit 40 doubles in 2014, compared to just 22 the season before. Those extra doubles are a direct result of his patience at the plate - waiting for a better pitch to hit and just hitting it hard, but not trying to take it out of the ball park. Plouffe's maturation, we believe, will land him in the .270+ average range along with 18-22 home runs, 70 runs scored and 70+ RBI. Trevor Plouffe is very likely to improve his average and HR totals in 2015. Casey McGehee is another guy who, even though he kinda had a comeback year last year, his lack of power is a big turnoff for fantasy owners. Keep in mind that he still has 15+ home run power in him (he hit 28 HR in Japan in 2013) even in San Francisco. McGehee will also have a super-solid lineup around him in SF, so the opportunities to see good pitches will be plentiful. Also, don't underplay the fact that he's a Bay Area guy. He grew up in a Northern California beach town (Soquel), so he's playing in his own backyard, so to speak. Believe it or not, that can be a big factor, especially for a guy who spent a couple of crappy seasons in Milwaukee, Pittsburgh and New York, and then went to a foreign land in Japan. Don't expect dominance, but do expect 10 HR, 70 runs, 70 RBI and a .270-.290 average in San Francisco. 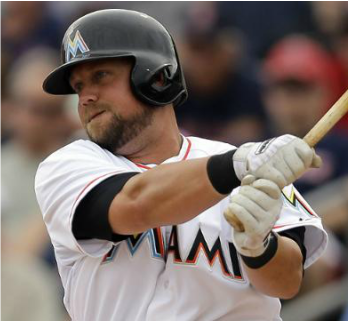 Casey McGehee had a pretty good comeback season in 2014. We expect an even better one this season playing near his home in Northern California.